When you fall in e hole that has a floor below, you end up in the said room, falling from the ceiling and dropping onto the floor, after doing a few turns oaround yourself. Be prepared, besause this is the puropse of this script. --Extracting actual destination and ground from teletransporters since map;on_started(destination) dosen't take special destinations in account, then stirong it to a savegame variable lCan be useful for dungeons like Skull Dungeon (Level 3 of ALTTP, which has many hole entrances). Hope it will be useful, but it may have have bugs, so don't hasitate to report them to me. And remember, it is not fully finished so expect changes to happpen. Remember that you may want to modify this script to make it compatible with Christopho's Multi-event script, which i don't use (yet) in my experiments to keep total control over my tests. edit#1 : Actually finished the v1.0 version, with ground detection on teletransportation. Update (2017/10/23) : Modified the script to remove the extra sprite requirement and to add more flexibility. This is now likely a final version unless someone finds a more efficient way. Your scripts / Fractals ! No, you didn't misread, what i'm about to give you is a series of scripts normally used in mathematics. They don't desserve any porpose other than having fun with the engine, so enjoy ! also called the imaginary nuimber. this process goes on and on until all visible points are rendered. 2. copy/paste this whole code in the map script. 4. Run the map ! -- Size of the rendering area in game pixels. 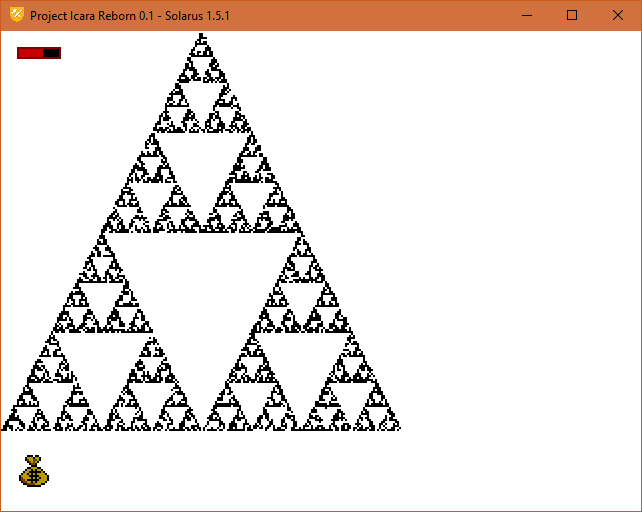 -- the maximum number of iterations for each point. -- the core functions. Called once per map update. -- i don't use for loops to get each point, but increase indices at the end of this function instead. When rendered, it shows a Triforce-like shape, with each triangle being a raduction of the base figure. -- Event called at initialization time, as soon as this map becomes is loaded. --these three lines are all the calculation. 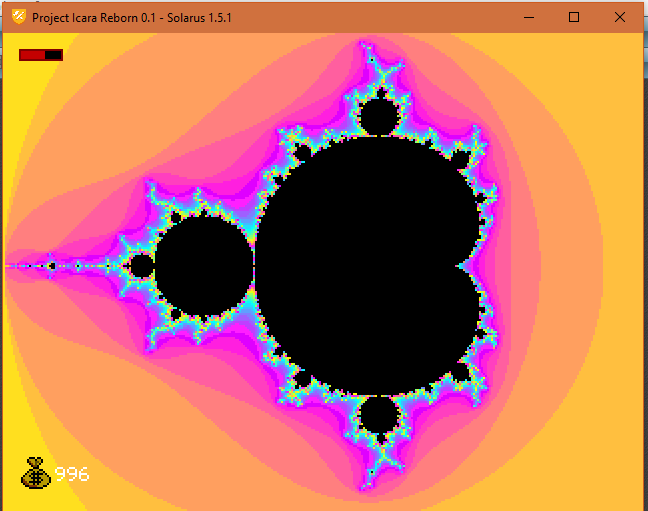 Yes, this fractal is very easy to setup. --Note, they directly come from internet, so feel free to change to your own. -- my calculator's example script from the instruction book. Kept here for historical reasons, feel free to remove. That's all for now! More to come later.... maybe ! Feel free to test, but be warned : it can, and will, take some time to get a full render, depending of your computer power and the parameters you chose. if you have suggestions for improvements, feel free to. Edit (2017/09/21) : Added screenshots of the renders. Have you ever wanted to have those pipes in Crystal Palace of MoS DX move your characters automagically ? Then this script is for you ! --A simple string splitter, found on the Internet. --Used for extracting parameters in the sensor name. --Warning : you MUST set the indexes to a continuous way (1,2,3,...) or else you will be stuck in the middle of the movement. --We are now in the pipe, either on en end or in the middle of it. --Feel free to change this sound to your own ! --And that(s all folks ! Note: if you find a simpler way, don't hesitate to tell me, i'll be happy to rework my code as a challenge ! edit : correction of misnamed function call originally using another file. It used map:get_entities(target)(1), now it uses map:set_entity(target) since now you should have ensured all sensors have a unique ID. edit #3 : fixed a possible issue when you try to make a pipe with only 1 sensor. + fixed comments indentation, removed some typo and removed remaining debug prints. In my test game, i made a custon central game and save manager. When creating a game, everything seems fine but it doesn"t seem to take the save and get savegame values function in account. For example, in initialization, i set max life to 10 and two option values for the sound and music volumes in costom named variables, but when calling the game:save() function, max life reverts to 1 and the option variables just don't exist. No error is thrown. My question is : did i make something wrong or is there a bus with the save management ? I attached the game manager script so you can chack foir any error.